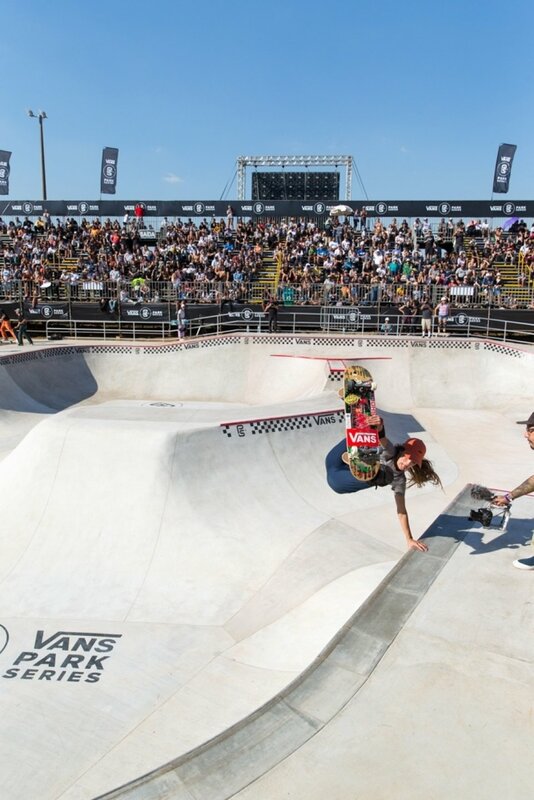 São Paulo, BRAZIL (June 1, 2018) – In South America’s first-ever, permanent custom-spec, VPS-certified park terrain skatepark built for the São Paulo community by Vans, men and women challengers from around the world met today for the 2018 Vans Park Series Brazil qualifying rounds. Firing performances from Brazilian Tour Challengers such as Murilo Peres, Vinicius Kakinho and crowd favorite Luiz Francisco ignited the course while an impressive showcase of women’s park terrain talent from Japan, United States, Australia and Brazil burst into the spotlight. Entering as the Brazil Wildcard and finishing in first place, Luiz Francisco stunned the field with clean, trick-heavy lines, proving his ranks once again since earning the 2017 VPS Nationals Brazil Champion title last year. The Brazil stop is the newest addition to the expanded 2018 VPS Women’s Tour, which opened registration for a new crop of women’s competitors today to compete against Select Pros such as defending 2017 VPS World Champion Nora Vasconcellos, former champ Brighton Zeuner, Lizzie Armanto and Brazil native Yndiara Asp, who qualified first in today’s semis. See below for the full results from today’s competition. Located in the heart of São Paulo, Vans welcomes the southern hemisphere’s first-ever built-to-spec park terrain skatepark with over 2,800 square feet of never before skated park terrain, featuring a 9 1/2 foot deep end, multiple transfers, extensions, a center volcano, ledges, rails, and a mix of concrete and metal coping all around. The 2018 Vans Park Series Pro Tour will be broadcast live for free on ETNlive.com, the ETN app, vansparkseries.com and the VPS app.